How can the capacity of physical IT resources be used to its potential? Allocating dedicated IT resources to individual consumers can be wasteful and underutilize their collective capacity. 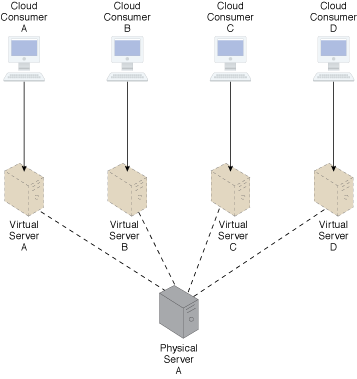 Physical IT resources are shared by partitioning them into lower capacity virtual IT resources that are provisioned to multiple cloud consumers. Virtualization technology is used to create virtual instances of physical IT resources. 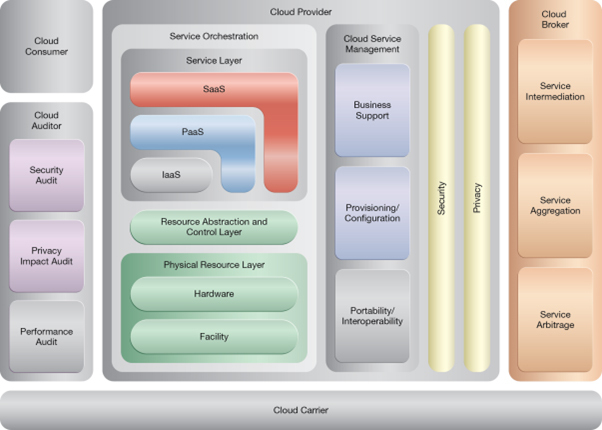 Each virtualized IT resource can be assigned to a cloud consumer, while the underlying physical IT resource is shared. Each cloud consumer is allocated a virtual server instance of a single underlying physical server. In this case, the physical server is likely greater than if each cloud consumer were given its own physical server. However, the cost of one high-capacity physical server is lower than four medium-capacity physical servers and its processing potential will be utilized to a greater extent.